Joseph Dave Gomez is an English footballer who was born on 23 May 1997 in Catford, England and plays as a center back but can also play as a full back on either side. He is hailed as a complete footballer due to his strength and athleticism. He is able to produce threatening runs up-field and dominates the opposition strikers in the defence making him a great asset in the defence. 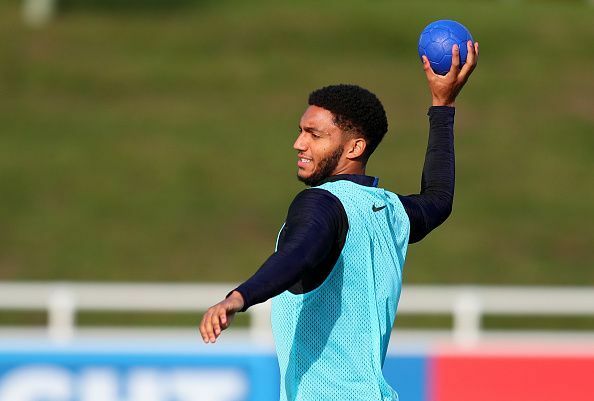 Gomez started his football journey at the age of 10 with a local club, Charlton Athletic.His immense talent saw him making his debut for the club’s U18 team at a mere age of 13 years. In November 2012, he was included in the England U16 team and made two appearances. The next year he was included in the England U17 team and was part of the England U17 team which won the 2014 UEFA European U17 Championship in Malta. He was named in the UEFA team of the tournament for his scintillating performances for England in the tournament. He made 19 appearances for the U17 team. He made his senior debut for Charlton in August 2014 against Colchester United in a 4-0 win in the League Cup. He was given his first professional contract by Charlton the next month. In September 2015, he made his England U21 debut against United States U23 team which England won by 1-0. Gomez made his international debut for England against Germany on 10 November 2017 at the Wembley Stadium which ended in a 0-0 draw. Gomez has since then made three appearances for England since then. Gomez made 24 appearances for Charlton in his debut season while also providing with one assist. The experience garnered by him at Charlton matured him into a great defender and improved his skills. In June 2015, Gomez was signed by Liverpool on a five year contract. He made his debut for Liverpool against Stoke City in a 1-0 win in which he played as a left back and also provided a assist. Gomez has made 24 appearances for Liverpool and has been a major part of the club. How did Liverpool’s International contingent fare this week?